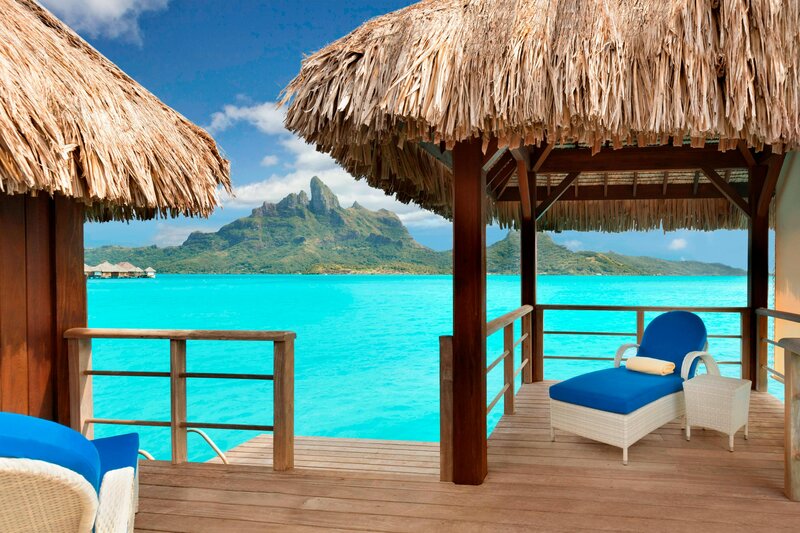 Indulge your tropical wanderlust with French Polynesian flair at The St. Regis Bora Bora Resort. Stay in the largest overwater villas in the South Pacific, starting at 1,550 square feet, and revel in the turquoise blue waters visible from the glass panels placed throughout. 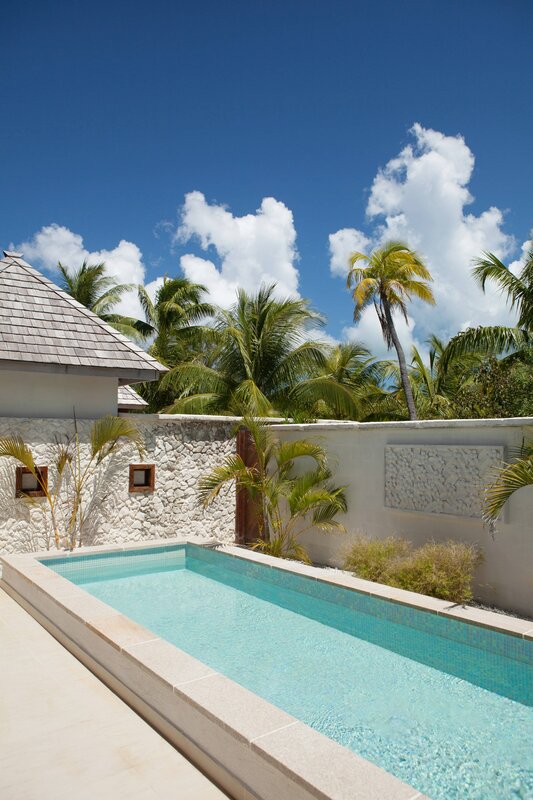 For ultimate privacy, reserve a secluded beach villa surrounded by lush palms. 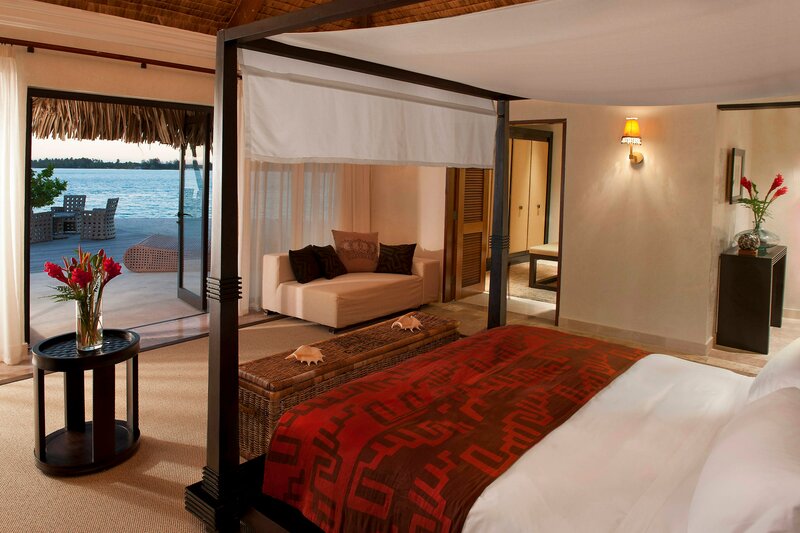 Each individual villa features unique amenities including spacious terraces with gazebos, whirlpools or plunge pools. 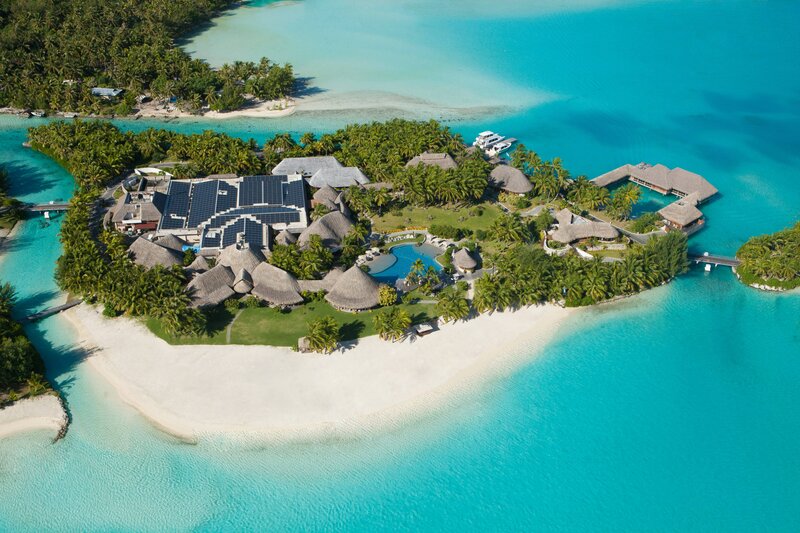 Explore Bora Bora easily from our luxury resort. Sail around the island’s azure waters, or dive under to meet black tip reef sharks and rays up close. After your island adventure, swim in our Lagoonarium, workout in the fitness center, or unwind with a spa treatment. Order a cocktail at the swim-up bar, or sample international and Polynesian-inspired cuisine at our four restaurants. With its beautiful surroundings and refined amenities, our resort also offers an awe-inspiring backdrop for destination weddings, honeymoons and company retreats. 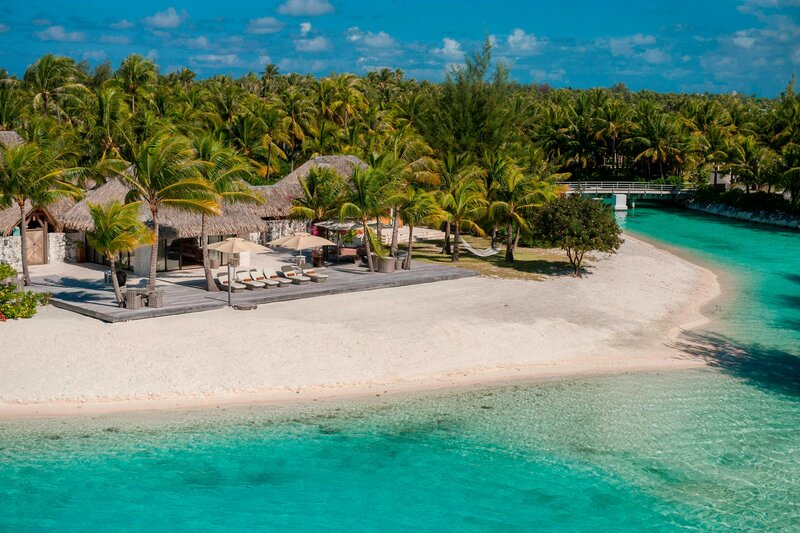 In a place where natural beauty abounds, where the legendary lagoon beckons and craggy Mount Otemanu majestically overlooks those blue-green waters, one destination stands out among the rest, a private-island paradise created for travelers of discerning taste. 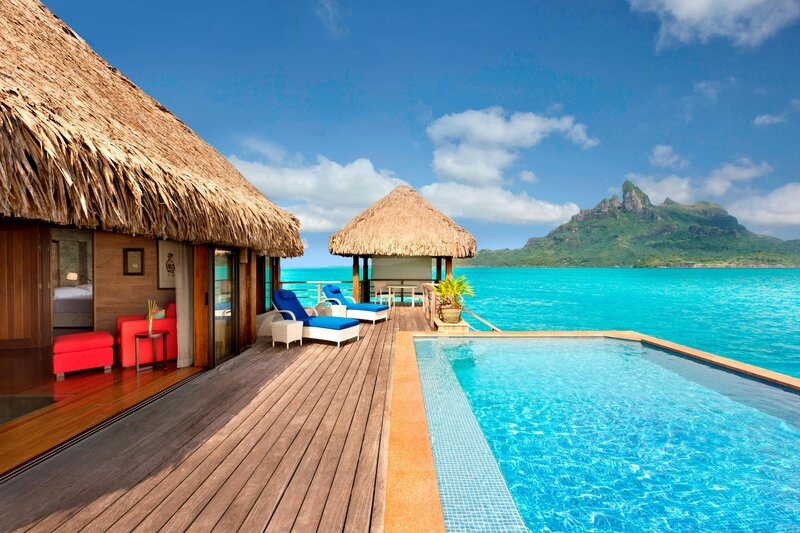 The St. Regis Bora Bora Resort is French Polynesia&apos;s jewel, a breathtaking place where time seems to stand still. 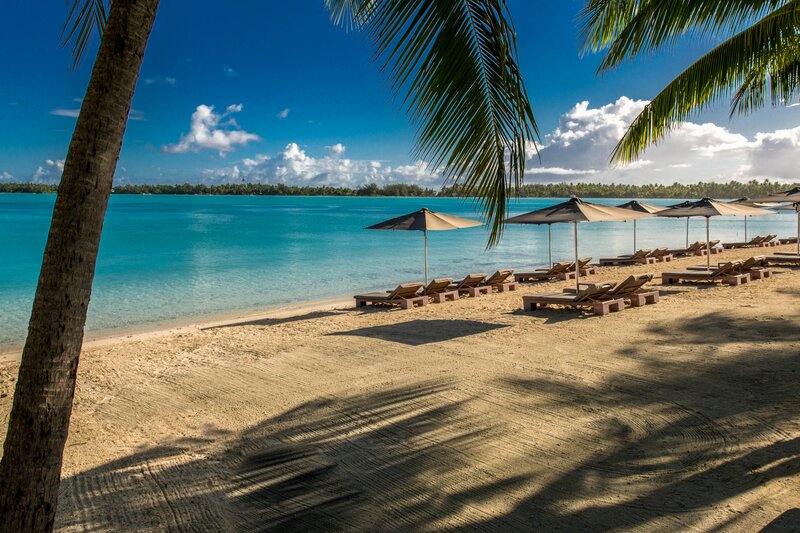 Welcome and la ora na to Tahiti&apos;s crown jewel, The St. Regis Bora Bora Resort. 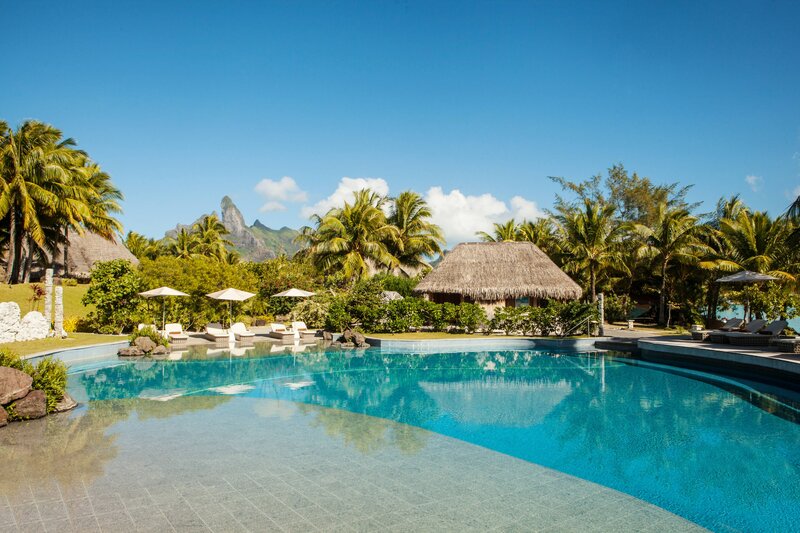 Nestled in the shadow of Mount Otemanu, on shores of the most beautiful lagoon on the planet, our resort invites discerning travelers to embrace the serene pace of French Polynesia. With its unique culture, celebratory rituals and anticipatory Butler service, St. Regis offers uncompromising luxury at some of the finest addresses in the world. 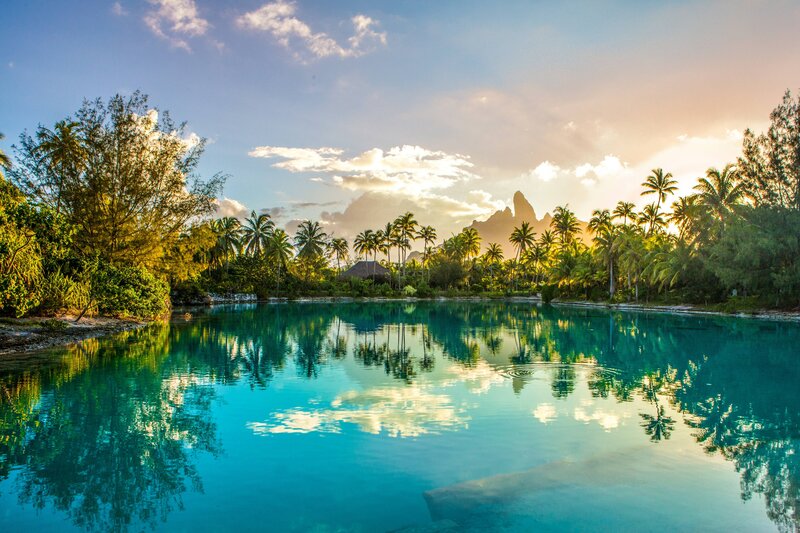 The St. Regis Bora Bora Resort is a water-lover&apos;s dream come true, with every possible aquatic experience right out the front door. Drop into the island&apos;s famed lagoon right from the deck of your expansive over-water villa and feel those warm azure waters envelop your body; be sure to watch for a sea turtle meandering by, too. The Resort&apos;s private Lagoonarium is a protected underwater sanctuary for myriad species of tropical fish and coral, including the remarkable Napoleon fish. 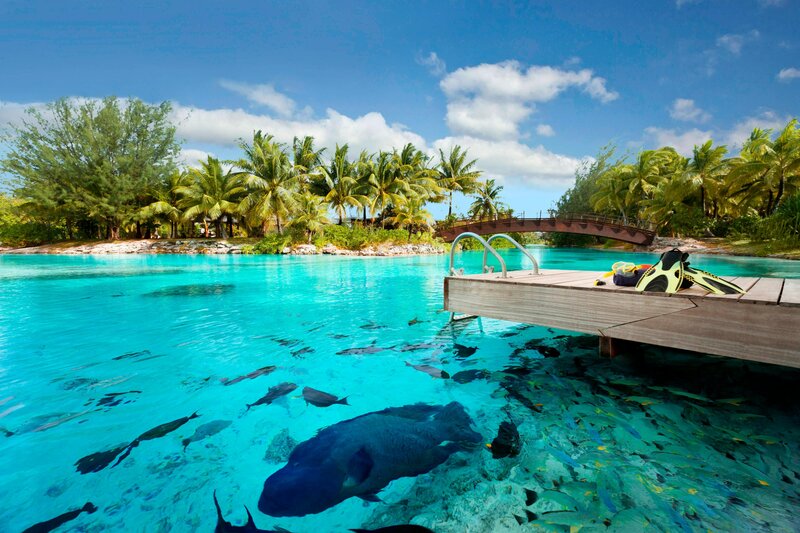 Several pontoons allow easy access for snorkeling at leisure. 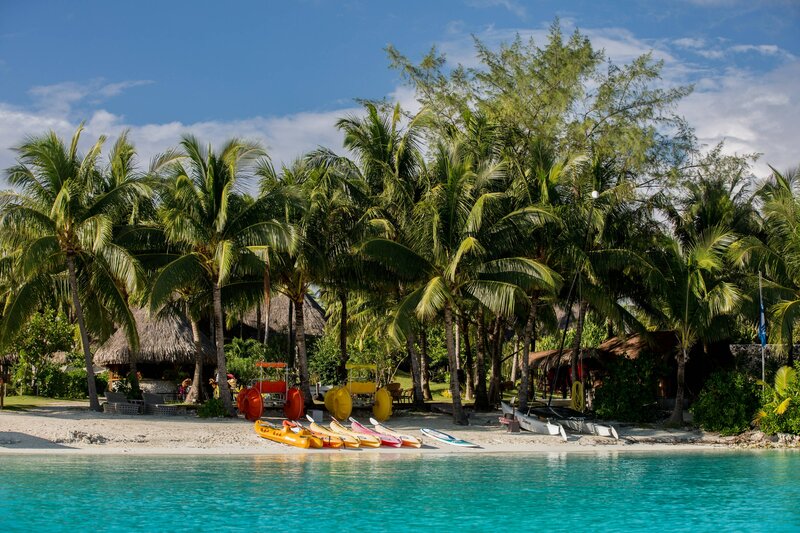 Whether you want an adventurous day of snorkeling along the reef, or just relaxing at one of our many beaches, you will find exactly what you are looking for at our Bora Bora Resort. Choose the Main Pool with its swim-up bar or the Oasis Adults-only Pool that features private cabanas. Time suspends in lush contemplation at Miri Miri Spa by Clarins. Located on its own ethereal island in the middle of the Resort’s private Lagoonarium, it is a haven of sun dappled serenity in which to find peace and rejuvenation. 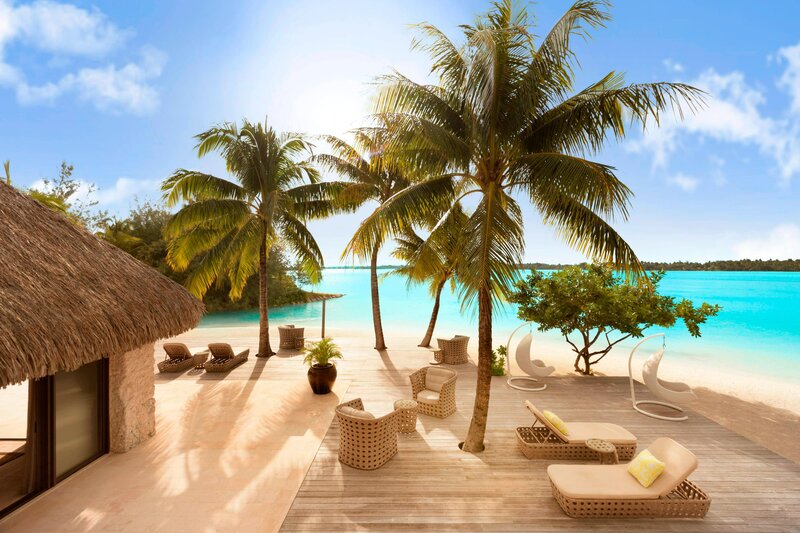 Enjoy a selection of Polynesian, Asian and CLARINS Touch treatments in one of our five treatment rooms, all of which offer open-air views of our gorgeous lagoon. 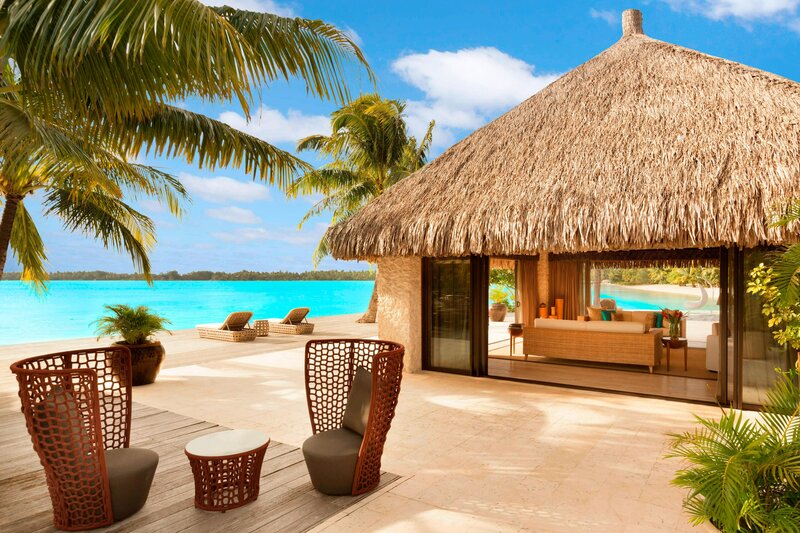 At the St. Regis Bora Bora, comfort is everything. From our standard over water villas, which at 1,550 square feet are the largest offered in the South Pacific, to The Royal Estate, the spectacular 13,000-square-foot coral-walled private compound. 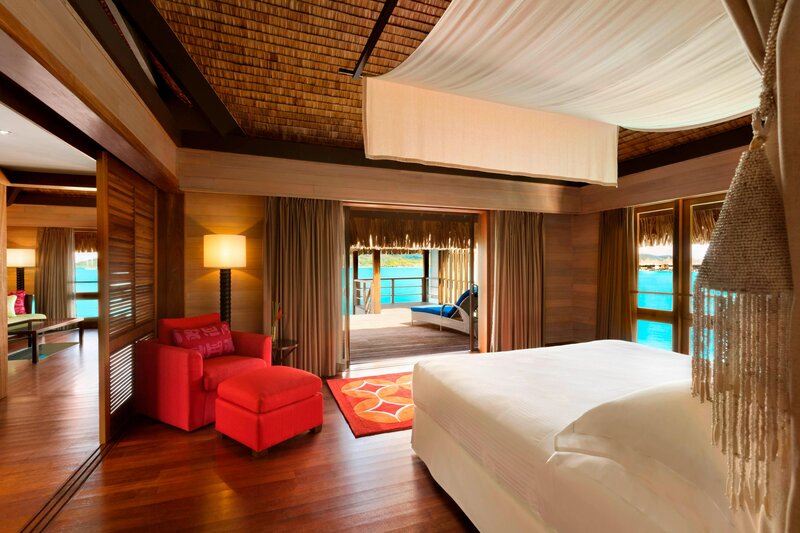 Every over-water villa is comprised of a separate living room and bedroom, with huge, luxurious bathrooms and glass viewing panels throughout, cut into the floor to provide glimpses of tropical fish swimming by. 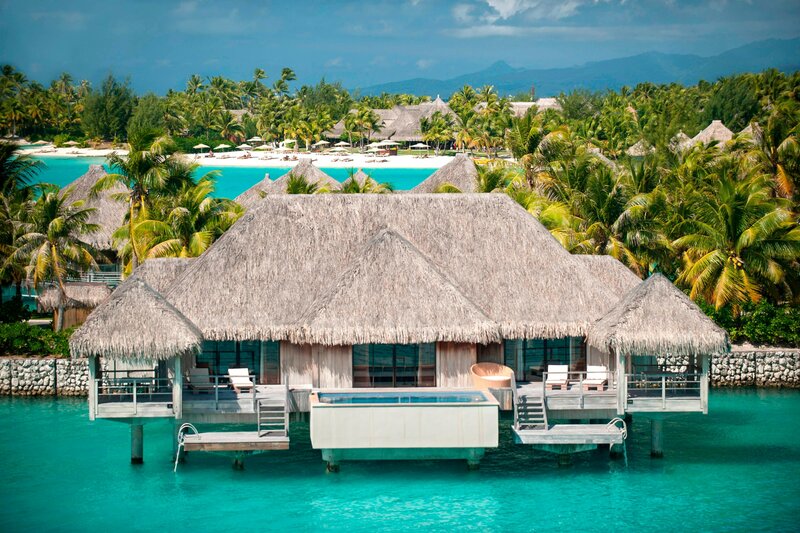 Perhaps the most distinctive address anywhere on Tahiti’s Bora Bora Island, A completely private compound closed in on three sides with coral walls, the fourth “wall” opens up to its own private beach facing a sparkling lagoon and Mount Otemanu. Bora Bora is arguably one of the world&apos;s most beautiful islands, showcasing white-sand beaches, impossibly clear seas and lush terrain covered in fragrant hibiscus trees and swaying palms. From honeymooners to families, The St. Regis Bora Bora Resort offers travelers to French Polynesia easy access to the island&apos;s best attractions, including unique recreational activities, delicious dining and nearby shopping venues.